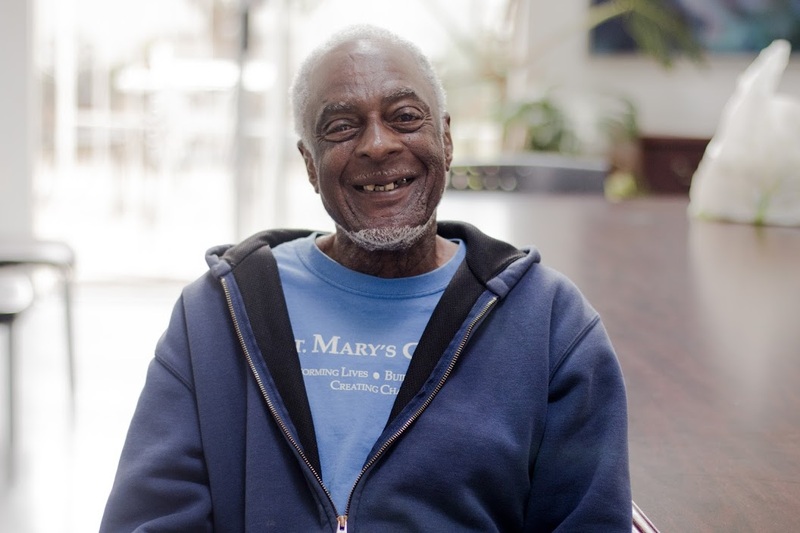 Oral health is critical to overall health, yet, fewer than half of older adults have access to oral health care in a given year. In 2018, Justice in Aging contributed to a white paper released by Oral Health America. In the white paper, we discussed how incorporating an oral health benefit into Medicare Part B could expand access to oral health care to older adults. On January 4, 2019, Senator Ben Cardin (D-MD) introduced legislation to add oral health to Medicare Part B. 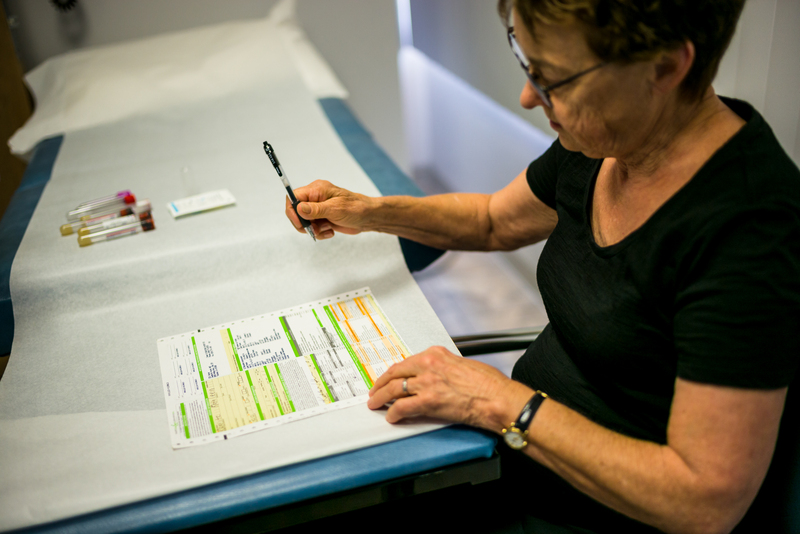 Justice in Aging Deputy Director, Jennifer Goldberg, was quoted in the article saying that stakeholder support is coalescing behind adding an oral health benefit to Medicare Part B. The article is available online only to subscribers of Inside Health Policy. This is a summary. 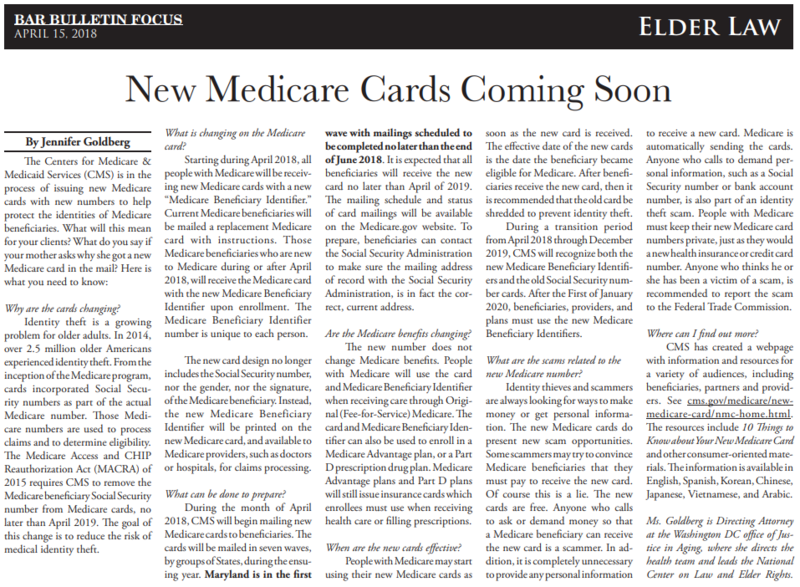 Maryland Bar Bulletin: New Medicare Cards Coming Soon (April, 2018) Justice in Aging Directing Attorney Jennifer Goldberg wrote an article to help legal advocates prepare their clients for the new Medicare cards. Are Uber and Lyft Ready for Medicare? Bloomberg Health: Are Uber and Lyft Ready for Medicare? (April 24, 2018) App-enabled ride-sharing companies like Uber and Lyft are eager to work with Medicare plans, which could fund transportation as a supplemental benefit to enrollees. In this piece on the Bloomberg Health blog that summarizes a longer piece on the outlet’s paid platform, Justice in Aging attorney Georgia Burke cautions that drivers would need training in order to help older adults and people with disabilities who need door-to-door service.